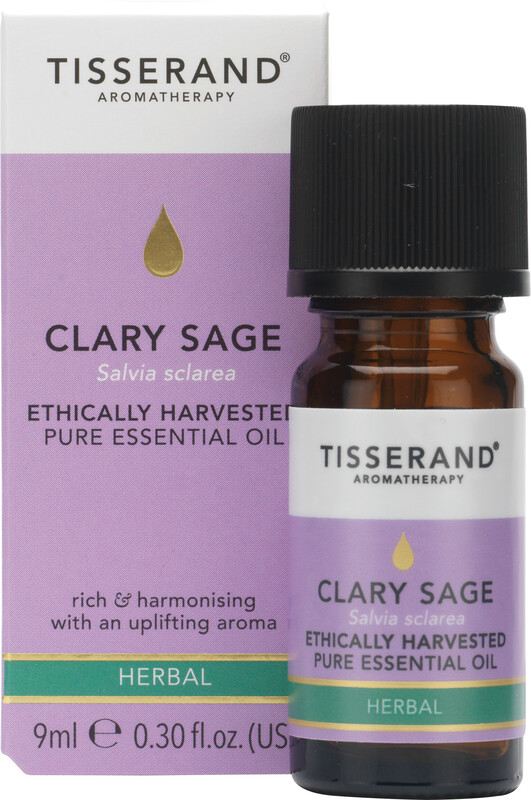 Tisserand Clary Sage Essential Oil is a rich, warm and euphoric oil with a lightweight texture and a sweet herby aroma. The clary sage oil used in this pure essential oil has been ethically harvested from the flower grown in France. Clary sage oil is a versatile oil, but it is particularly good for calming the nervous system to bring relief from insomnia, tension, stress and depression. When used as a massage oil it can bring relief for skin complaints, muscle pain and cramps. For massage, it blends well with Sandalwood, Bergamot, Rosewood-tomar and citrusy essential oils. Try adding a few drops to hot bath water to soothe skin and relax the mind. Pregnant women should avoid use. For general body massage, add up to 5 drops of this essential oil to at least 10ml of blending oil. For vaporisation, add a few drops to your vaporiser and allow to diffuse. Before use please ensure you read the Essential Oil Safety Information Leaflet, enclosed in the packaging.